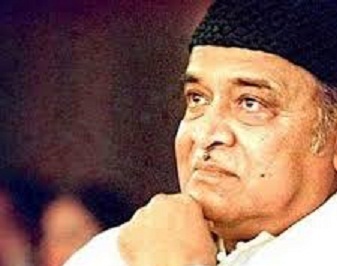 The Bhupen Hazarika Cultural Trust, in collaboration with Assam Association, Mumbai, will organise the 92nd birth anniversary of maestro Bhupen Hazarika as Samannay Divas on September 8 and 9 next at Assam Bhawan in Mumbai. The award is finalised by 30 regional organisations and various personalities from different fields in Assam. It comprises a memento, a certificate and the Assamese traditional attire. Mangal Singh Hajowary, the first awardee of Bodo Sahitya Akademi, will hoist the flag of the Trust as a mark of the beginning of two-day Samannay Divas on September 8 at 9 am, followed by an interaction and tribute programme. The founder of Sarhad, Maharashtra, Sanjay Nahar, will light the lamp on the occasion. “On September 9, an exhibition on Bhupen Hazarika’s life will be followed by a cultural evening and a felicitation programme,” said Manisha. Film director from Assam Gautam Bora will grace the occasion as an appointed speaker.